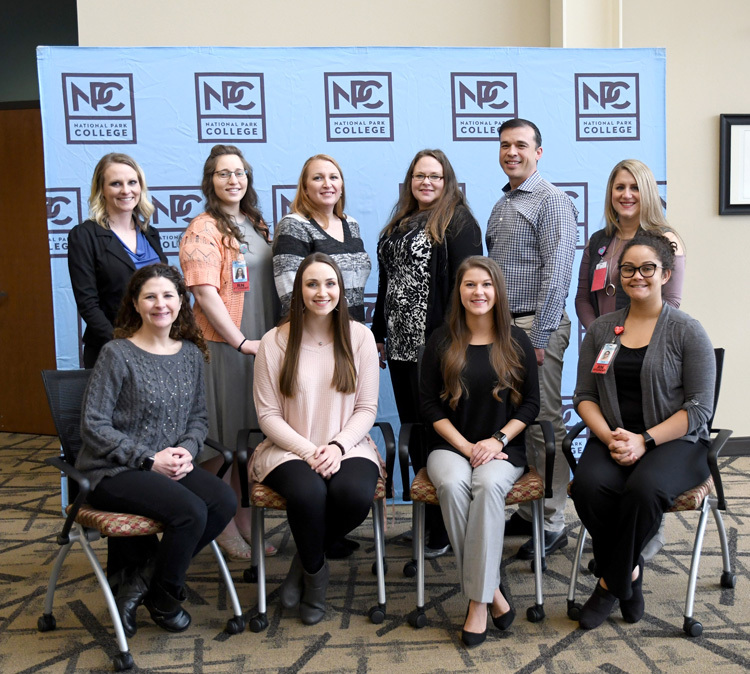 Hot Springs, Arkansas – CHI St. Vincent Hot Springs signed 10 National Park College (NPC) nursing students to the CHI St. Vincent Pathway Program Thursday. Kelly Callahan, clinical educator and Nisa Trenthem, RN residency program manager were present to welcome the students. Crystal Gauldin, Madison Hair, Lisa Lingo, and Deseray Yelverton. They will graduate in May 2020. Students selected for the Pathway Program commit to work as registered nurses at CHI St. Vincent Hot Springs for two years upon completion of their respective coursework and licensure. The hospital provides a financial aid package that covers the cost of tuition and fees for qualified applicants for four semesters, up to $5,000. The Pathway Program was part of a partnership announced in September 2017 with the goal of training additional nurses to fill the shortage in the hospital’s pipeline. CHI St. Vincent committed to a three-year total investment of $1.6 million to provide financial assistance to students enrolled in NPC's registered nursing program and Henderson State University's Bachelor of Science in Nursing program. In addition, CHI St. Vincent provided financial support to equip a state-of-the-art clinical simulation lab at NPC. Pictured back row left to right is Ashley Allison, Carmelita Chavez, Crystal Sibley, Kacee Young, Ben Valentine, Crystal McKinney; front row left to right is Crystal Gauldin, Madison Hair, Lisa Lingo, Deseray Yelverton.